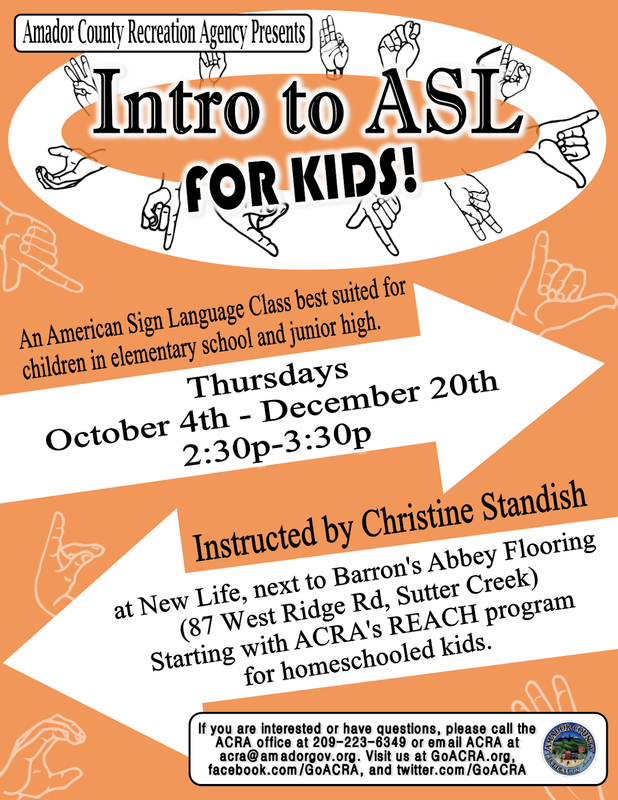 An American Sign Language Class best suited for children in elementary school and junior high. For more information, please call the ACRA office at 209-223-6349, email ACRA at acra@gmail.com, or message our Facebook page at facebook.com/goacra. Visit our website at GoACRA.org.